became what we are most familiar with today. serve 4 unless otherwise noted. 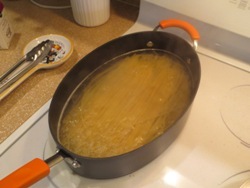 Cook pasta in boiling water until al dente. In the meantime, combine the remaining ingredients in a bowl. Toss the pasta with the tomato mixture and serve immediately. Sprinkle with Parmesan cheese, if desired. Saute the pepper strips in olive oil for about 5 minutes. Add the mushrooms, zucchini, onion, and garlic. Cook an additional 5 minutes. Add the tomatoes, asparagus, and salt. Bring the mixture to a boil, then reduce heat to medium, and cook 10 minutes. Remove from the heat and stir in the parsley. Serve over cooked spaghetti. Saute the mushrooms, asparagus, carrot, zucchini, peas, and chives in butter for 5 minutes. Add the heavy cream, salt, pepper, nutmeg, and basil. Bring the sauce to a boil. Remove from the heat, pour over cooked pasta, and toss. Add the Parmesan and parsley. Toss again and serve. Sauté the peppers in butter until soft, about 3 minutes. Add the zucchini and mushrooms. Sauté an additional 4 minutes. In the meantime, put all the cheese, milk, salt and pepper in a small saucepan. Heat the mixture until the cheeses blend together to form a sauce, 1-2 minutes. Toss the vegetables with the cooked pasta, then add the cheese sauce. Heat oil and butter in a large skillet. Add the onion, garlic and mushrooms. Saute 3-4 minutes. Add the remaining vegetables and sauté 10 minutes. Add the broth, basil, salt and pepper. Cook just long enough to heat the broth. Pour over cooked pasta and toss. Sprinkle with Parmesan cheese and serve. Steam carrots for 2 minutes, then add broccoli and zucchini. Steam vegetables until tender, about 5 more minutes. In the meantime, sauté onion in olive oil until soft. Add the garlic, chicken stock, and cream. Bring to a boil. Continue cooking and stirring sauce until it begins to thicken. Toss the cooked pasta with the sauce. Top with the steamed vegetables. Toss again and serve. Melt butter in a large skillet. Add asparagus, carrot, green onion, garlic, basil, salt and pepper. Cook until tender, 5-6 minutes. Add mushrooms, peas, and white wine. Cook an additional 3-4 minutes. 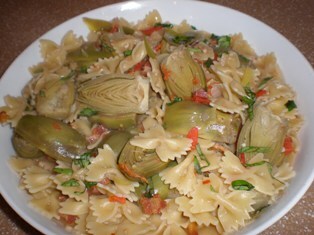 Toss vegetable mixture with cooked pasta. Sprinkle with Parmesan cheese. Bring broth to a simmer in a small saucepan. Remove from heat and add the sun-dried tomatoes. Let sit for about 30 minutes. Drain and reserve broth. Heat oil in a large skillet over medium heat. Add garlic and sauté until golden, 1-2 minutes. Add mushrooms, broccoli rabe, basil, sun-dried tomatoes and their reserved broth. Simmer 4-5 minutes, or until vegetables are tender. Toss vegetables with cooked pasta. Season with salt and pepper. Bring water to a boil in a large saucepan. Add the asparagus and cook for 3 minutes. Remove the asparagus from the water and add the pasta. Cook for the time directed on package. In the meantime, heat oil in a large skillet over medium-high heat. Cut the chicken breasts into thin strips. Saute in the oil for 5 minutes or until nicely browned. Add the asparagus, peas, salt, pepper, and garlic. Saute for 2-3 minutes. Add the wine and scrape up the browned bits on the bottom of the pan to add flavor to the sauce. Stir in cream and lemon juice. Cook 2 more minutes. Add pasta and cheese. Stir mixture well to coat everything. Remove from heat. Stir in basil, parsley, and green onions. Serve. Blanch broccoli, snow peas, zucchini, green peas, and asparagus in boiling water, 3-4 minutes. Rinse in cold water and set aside. In a medium skillet, heat 1 tablespoon olive oil. Add tomatoes, 1 teaspoon garlic, parsley, salt and pepper to taste. Saute 3 minutes. Set aside. Heat a large skillet over medium heat and add the pine nuts. Toast the nuts 2-3 minutes, stirring often, until lightly browned. Add 1/4 cup of oil, 2 teaspoons garlic, mushrooms and blanched vegetables. Simmer 2-3 minutes. Add cooked spaghetti, cream, Parmesan, butter, and basil. Mix gently. Place pasta into serving bowl and top with sautéed tomatoes. Serve. No more bending your spaghetti to get it all in the boiling water. The pan's wide oval shape takes up minimal space when the stovetop is crowded. The handles have nonslip, heat-resistant silicone grips, and a helper handle on this pot makes draining and carrying much easier. Sauteing onions until soft, 5 to 10 minutes, is the first step in many recipes. 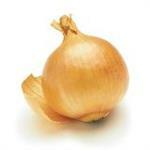 The reason is that softened onions add body and sweetness. Browning onions, 10 to 15 minutes, gives the onions a deeper flavor that makes them great with sauteed greens or in a savory tart. Lowering the heat and cooking the onions for 30 minutes or more will caramelize them. Longer cooking brings out the onion's sweet side. Caramelized onions are nice on pizza or in pasta. Split a loaf of Italian bread lengthwise into 2 pieces. Place the bread, cut side up, on a baking sheet. Stir together finely minced fresh garlic and softened butter. Spread over both pieces of bread. 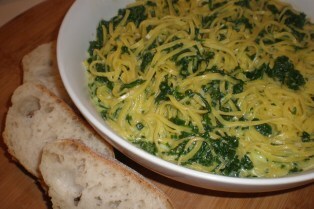 Sprinkle some grated Parmesan cheese and chopped parsley over the top. Bake for 10-15 minutes, or until just starting to turn golden brown. Some people cringe at the idea of using garlic powder instead of fresh garlic, but for this recipe I find that it works equally as well. 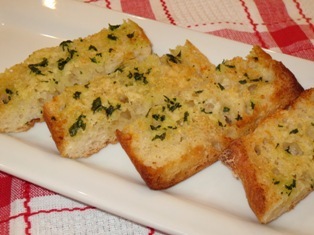 Simply spread the butter over the bread, sprinkle generously with garlic powder, add the Parmesan and parsley, and bake. The pine nut is actually the tiny, cream-colored seed of a certain species of pine tree. Pine nuts, sold shelled, raw or roasted, have a rich buttery flavor and add a nice crunch to many foods, included baked goods, pasta, and salads. Rosanna was inspired to create this appealing collection when she traveled the Italian countryside. The set of 4 pasta bowls are made of refined porcelain, each with a separate design. A large matching serving bowl is also available. A stainless steel mixing bowl set is a kitchen essential for any cook. Stop relying on shoddy, beaten-up bowls in your kitchen. This set offers you an abundance of high-quality stainless steel bowls that are easy to clean, sanitary, and extremely durable.